No one will be surprised seeing people spend so much on accessories like earphones. The accessory of the modern world, the earphones. People are going bonkers over buying the latest technologies in earphones. Apple’s wireless earplugs have already created a buzz. 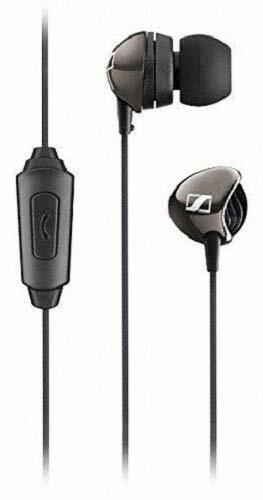 Everybody wants best earphones under 2000 in india. Ten years ago, the headphones that came with new mobile phones used to be a key part of the package. But today, you won’t find a good pair of best earphones under 2000 with every set you buy. Most smartphone makers are skipping putting a pair just to save costs. So you have to rush out to get a perfect pair of earphones in your set budget. Some have amazing bass, some offer good audio balance, and some have medium and loud audio. Some also come with in-line controls and offer call-answering capabilities. Isn’t that amazing? If you want to hear distortion-free audio with excellent low-volume clarity and prominent mids, the CX275 might be the ones for you. 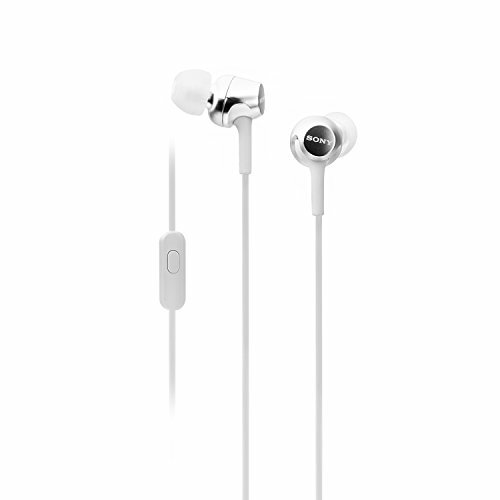 They are lightweight, comfortable, and offer a secure in-ear grip without compromising on quality. You can individualize the CX275s to fit your ear canal for superior sound by selecting among the 3 different sizes supplied ear adapters. Full control is also achieved with the in-line microphone and remote for the easy management of calls and tracks. They’re lightweight, comfortable and compact. Under the metallic-finished housing, a pair of 8.7mm drivers punches out some serious bass. It has a flat cable that’s durable and won’t tangle up in knots. Eartips are soft and you get two extra pairs. In terms of audio quality, the bass is very good. At the same time, the mids and lows are properly balanced. These are another pair of exceptional headphones from SoundMagic. It kills it with metal construction and tangle-free wires. The retail package comprises of a plethora of earbuds, premium hard case, clip and a couple of adapters. The E10C is currently available in four attractive colour choices. A safety lock that It’s not all about the bass sometimes, and even though Sony’s XB range is supposed to be bass heavy, the MDR-XB30EX manages to offer good audio quality with excellent bass. These are also one of the best-looking earphones in our list and features tangle-free flat cables. The Bass Booster amplifies the low-end frequencies through a specially designed duct in the housing, while an improved seal between the driver unit and your ears keeps sound in. The Sony MDR-EX255AP is a decent pair of in-ear headphones with good sound quality. It sports an extensive range of frequency responses and delivers balanced audio output. Little adjustments to the equalizer can reveal the true capabilities of the headset. The semi-braided wires along with the metal casing look and feel quite premium. 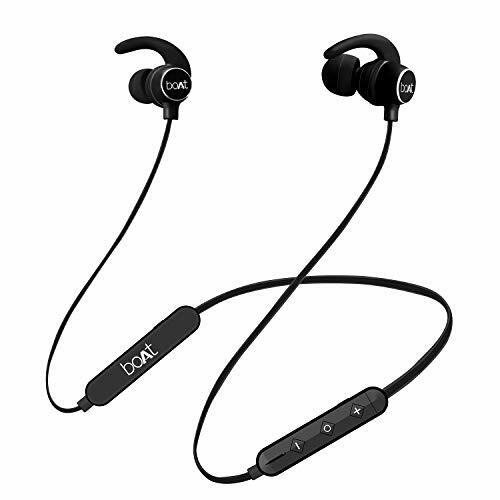 These powerful 255 wireless earphones from Boat are loaded with incredible features including, but not limited to, powerful HD sound, a qualcomm CSR8635 Chipset, Bluetooth 4.1 and a 110 mAh battery. Tailor made for those who love going on morning runs, they make for an incredibly worthy investment at a mere Rs 1,499. I’m sure I’m not only person out there who has lost one or both of the earplugs of his earphones. It’s a pretty common occurrence, especially when we take into consideration the fact that earplugs tend to be really miniscule. 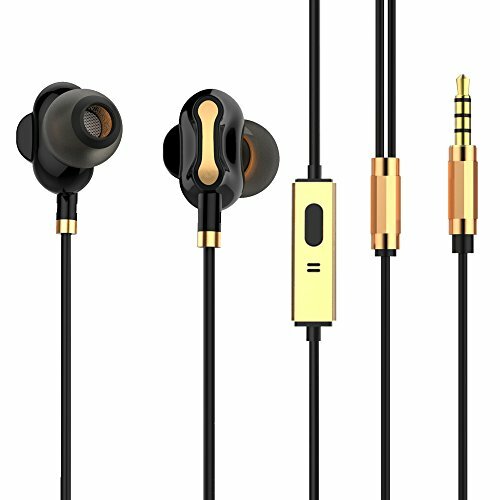 Well, these SoundGear-500 earphones from Tagg will help you combat that problem as they come equipped with three different pairs of multi-size ear plugs. That’s not all, they also come equipped with dual drivers, a multi-function button and one year of warranty, making them a seal of a deal at a mere Rs 1,599. When it comes to earphones, Skullcandy is a brand that needs absolutely no introduction. They routinely curate amazing earphones and headphones that deliver the goods. And as it turns out, this Smokin’ Bud 2 variant is no exception. Equipped with oval-shaped and angled earbuds, noise isolating technology and supreme sound acoustics, they also comewith an in-line microphone that makes them a worthy addition for any music lovers’ collection. 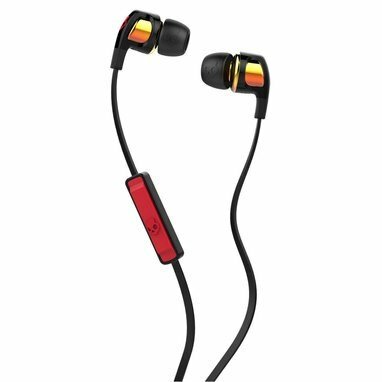 Of all the earphones mentioned on this list, these Mercury M2 Bluetooth earphones are probably the most loaded with features. Bluetooth 4.1? Check. Voice prompting capabilities? Check. Upto eight hours of wireless usage on a single charge? Check. A built-in microphone? Check. And an IOS battery capacity display as well? 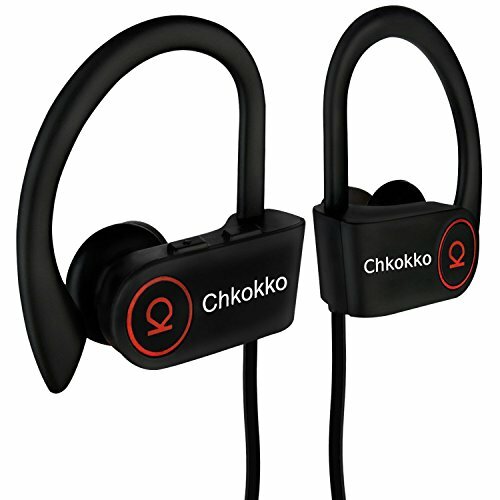 These earphones are worth every single penny, especially since they are waterproof as well! Full Power: With 8 hours of talk time you’ll need to recharge long before your headphones do. Easy Control: With a built-in Microphone, you have complete control over answering calls, volume, pause and forward/reverse. 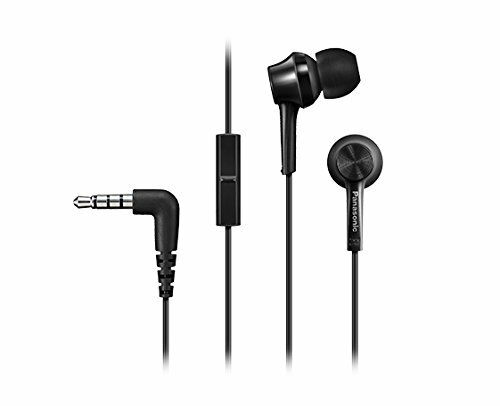 Finally, we have these RP-TCM105E-K earphones from Panasonic. Just like Sony and Skullcandy, Panasonic is one of those reputable and sought after brands that constantly comes out with A-grade products. Their earphones are no exception, especially this RP-TCM105E-K variant that delivers the goods at an affordable rate. 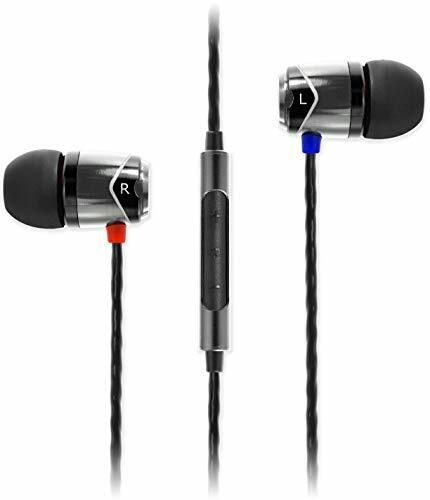 Bass – Low frequencies like sub bass are hard to develop in small-sized earphones because of their small size drivers. Yet, a good design of driver can produce superb low frequencies. All of us want to groove to the wonderful beats that are thumping, enriching and deep. So we need them to be very clear without interfering with other frequencies and without bloating. Treble and highs – More than bass, the highs are important to most music genres. Treble must be sensitive, impacting and not very shrill. High trebles seem to work well only to a point they are not soaring to ears. So, check out the treble and highs before you go ahead to buy one. High-end Mids– At the upper cap of 2000 INR, some earphones might also produce amazing mids. It is due to the fact that, at this price, people choose more energetic and vibrant sound with detailed bass and highs. It makes them do well in the mids section. Mids make the sound flat yet are very important for vocals in the songs. Many earphones offer good mid-range efficiency that lets you listen to the vocals that are exactly like original sound. They have the presence of mids but it’s not articulated like the lows to let you enjoy classic songs which are based on just vocals and don’t require multiple instruments. Soundstage – soundstage drives how the earphones will be able to make the listening experience just like a real concert where you feel the sound coming from just around you, some from far behind and they produce a spatial impact to your listening combined which makes listening extra immersive. The soundstage must not be too narrow and should not be very wide as well. Narrow soundstages make hearing suffocative. Build Quality and Comfort – The build quality and comfort of a pair of earphones matter the most firsthand. There are a range of good earphone housing, durable cable, silicone ear tips in different sizes, the perfect and comfortable fit of ear tips for bass response, tangle-free cable, carrying case, plug-type, and the shape of the plug for the ear protection, that are ruling the market. You just have to browse and pick. Higher-End Headphones Can Produce Clearer, Better Audio – Ideally, a pair of high-end headphones have built quality and features that match the price tag. They feel sturdy, relatively better, and are made of durable material. More money can also net you features like wireless audio, noise cancellation, detachable cables, and so on. We’re not saying you should look for wood trim and metal, but a pair of expensive headphones should feel like they can take a bit of a beating, and they should feel solidly built from the inside out. So to sum up, you do get better sound quality the higher you’re willing to go in price. There might be lesser returns sometimes, but if you have the cash to spend, the right higher-end headphones can just blow your mind. Anyone can spot and feel the difference between a good INR 500 pair and a good INR 2000 pair. The differences are quite noticeable and evident. Of course, price tag alone doesn’t on its own indicate quality. We’ve seen Best earphones under 2000 that sound better than sets two or three times their price. Although, some of your favorite headphones are pricier, and many of them are certainly better than any cheap rate pair. There’s decent sound to groove to at all price points, but the higher you desire, the higher the bar. Still, for most of the times, the more expensive headphones will sound better—though other things can foster that higher price tag. So find your fit and buy one before you miss out on anything. Shashank is a travel and technology writer with Khojdeal. He is fond of traveling and exploring new destinations. Shashank is also an avid photographer and enjoys capturing memories and moments on his camera. He is also a tech enthusiast and frequently reviews gadgets for us.